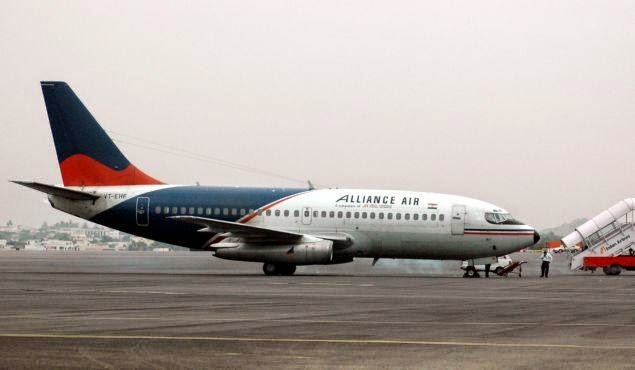 Shillong, Aug 1 : Alliance Air, a wholly-owned subsidiary of Air India, would resume operations from Kolkata to Shillong in Meghalaya and to Tezpur and Lilabari in Assam from today, two months after the services were discontinued due to 'fund constraints'. The airlines' ATR aircrafts would fly on three sectors - Kolkata/Guwahati/Tezpur and return (three days a week), Kolkata/Guwahati/Lilabari and return (four days) and Kolkata/ Shillong/Kolkata and return (six days), the company said in a statement in Kolkata. Flight 9I-737 will depart Kolkata at 0550 hrs and arrive Guwahati at 0740 hrs, depart Guwahati at 0740 hrs and arrive Tezpur at 0835 hrs. The return flight 9I-738 will leave Tezpur at 0855 hrs and reach Guwahati at 0950 hrs, depart Guwahati at 1020 hrs and arrive at Kolkata at 1155hrs on Mondays, Wednesdays and Fridays, the release said. Flight 9I-739 will depart Kolkata at 0550 hrs and reach Guwahati at 0720 hrs and depart Guwahati at 0740 hrs to reach Lilabari at 0840 hrs. The return flight 9I-740 will leave Lilabari at 0900 hrs to reach Guwahati at 1000 hrs and take off from Guwahati at 1020 hrs and arrive Kolkata at 1155 on Tuesdays, Thursdays, Saturdays and Sundays. Flight 9I-711 will leave Kolkata at 1235 hrs and reach Shillong at 1420 hrs and the return flight 9I-712 will depart Shillong at 1440 hrs and arrive Kolkata at 1625 hrs everyday except Fridays, the release said. The Alliance Air used to get subsidy from the North Eastern Council (NEC), the nodal agency for the economic and social development of the North Eastern Region. NEC Advisor (Transport and Communication) P H K Singh said Alliance Air had cited funds constraints as the primary reason for their discontinuation of the flights to these places. "They were suffering as the losses incurred by the company was more than the subsidy they availed from the NEC," he told PTI in Shillong. But they would resume their flights from tomorrow in three smaller air ports in the region after the Union Ministry for Development of North Eastern Region (DoNER) intervened in the matter.